A collection of double and triple module homes based on an ‘L’ or ‘T’ plan arrangement These plans allow for optimum integration of internal and external space to emphasise the connection between house and garden. Suitable for sites with dual or multi aspect and in particular corner sites. 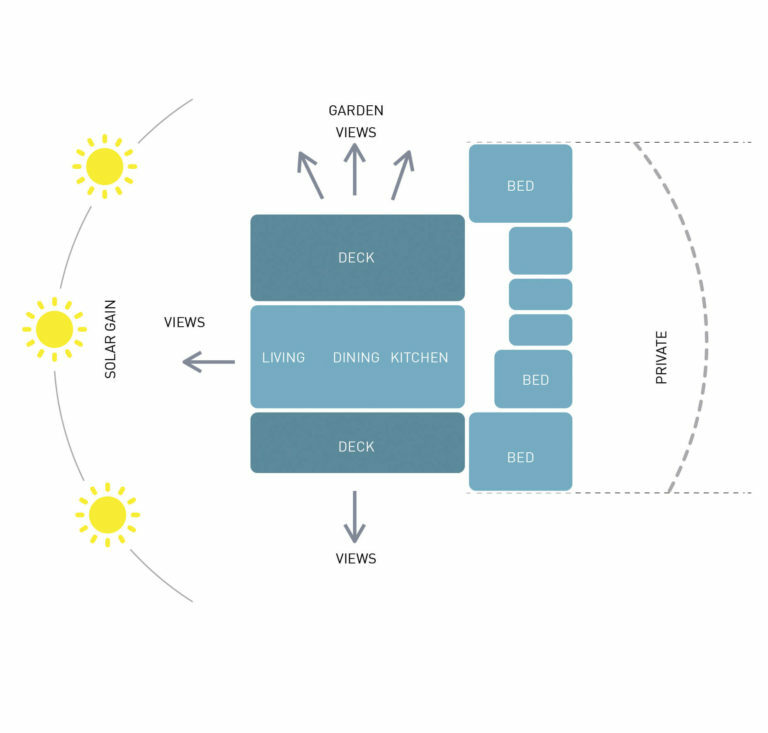 Flexible layouts which can be adapted to maximise solar exposure. Provides for ease of cross ventilation.